More than 78,282,938 beer lovers served! Hours: Monday-Thursday 11:00am-10:00pm, Friday 11:00am-11:00pm, Saturday 10:00am-11:00pm, Sunday 10:00am-10:00pm. 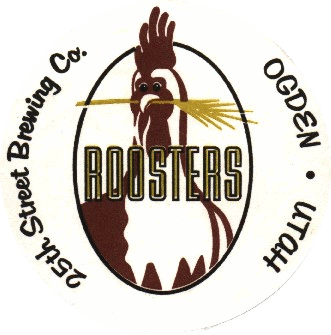 Formerly Roosters 25th Street Brewing. Dark dark brown. Burnt aroma. Not as big as it could be. Blast of black malt.